Class size reduction (commonly referred to as CSR) is a conspicuous feature of the last decade of public education reform. CSR refers to lowering the actual number of students in a single classroom. It should not be confused with teacher/pupil ratio which counts all educators within a school. CSR is an educational, economic and political issue of interest to all education players and public. 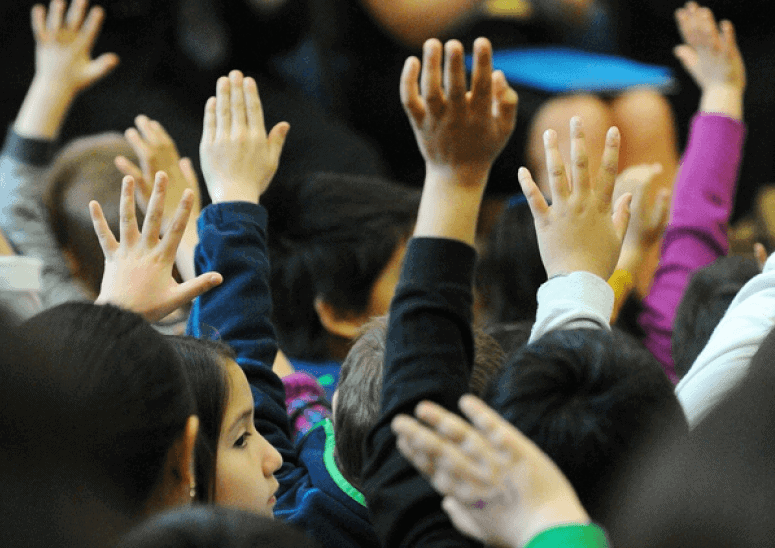 Class size decisions significantly affect the amount that taxpayers contribute to public education and involve choices about where to apply limited resources. The Ontario government is spending $101 million (elementary) and $162 million (secondary) per year to reduce class sizes. British Columbia provides in excess of $43 million annually to fund a K-3 class size clause in the teacher’s collective agreement. The American Congress set aside $1.3 billion for class-size reduction in 2000-01, while individual states spend additional dollars. California’s CSR initiative costs over $1.5 billion annually, and Nevada’s $80 million. The notion that smaller class sizes improve student learning has an intuitive feel, but the research is not conclusive. There are many variables to consider and implementation presents a complex set of challenges. When examining the research, it is important to determine whether individual studies examine class size reduction or teacher/pupil ratio reduction. Also, researchers vary in how they measure student achievement; some use standardized test scores and/or classroom marks, others use more subjective measures such as student self-concept, and satisfaction rates, or a combination of the above. Generally, even the larger studies have not separated the variables of instruction and class size sufficiently. It is known that teachers in smaller classes spend less time on classroom management, leaving them more time to implement their chosen strategies. However, CSR researchers should more fully address questions about the nature of evidence in their studies. The area of effective teaching strategies for small classes requires additional investigation but there appears to have been difficulty isolating the variables. While many studies show small achievement gains when class sizes are reduced by a few students, significant gains appear to only occur when class size is reduced dramatically. In 1985, a statewide experiment in Tennessee, Project STAR (Student/Teacher Achievement Ratio) randomly placed kindergarten students in classes of 15, 25 with a teacher and an aide, or 25 with a teacher; this was maintained through grade 3. Students in the smaller classes scored highest on achievement tests. All students in the small classes benefited but the largest gains were made by disadvantaged minority students. In 1995, Wisconsin’s SAGE (Student Achievement Guarantee in Education) program required a selected group of schools to reduce K-3 class size to 15, offer extended services as ‘community schools’, implement a rigorous academic program, and establish professional development and accountability mechanisms. Students in the smaller classes under the SAGE approach were found to have significant gains, however there is evidence that the effects were closely related to the abilities and qualifications of the teacher. Further analysis of the data suggested that the largest gains occurred in Grade 1, with that gain being maintained over the next two years. In 2000, Alberta Learning conducted a pilot project with Edmonton Public Schools to examine the effect of reducing class size and enhancing teaching practices in Grade 1 classes. The results of this two-pronged approach were positive. At the secondary level little CSR research has been undertaken. However, class size appears to have minimal effect in most subject areas. Research in Australia, Flemish Belgium, and France, found that students in larger classes (19-29 students) did significantly better in math than those in smaller classes (6 –18 students). Class size made little difference in math performance in Canada, Germany, Iceland, South Korea, and Singapore. In the US, larger classes performed slightly worse than smaller ones. These findings again highlight the potential effect of differing approaches to teaching. Teacher Quality. Small class size will not make up for poor teaching. Universal implementation of CSR has a significant impact on the availability of qualified teachers. In 1996, California reduced class size in the early grades from an average of 29 to no more than 20 students per teacher. One of the effects was that inner city and rural schools experienced a reduction in overall teacher qualifications due to the 38% expansion of primary teachers required. This has the potential to be exacerbated by the teacher shortage expected over the next five years. Without an adequate supply of trained, competent instructors to fill the new classrooms, CSR may do a disservice to students. Professional Development. Improved teaching and learning must be the cornerstone of a CSR strategy. The research suggests that high-quality instruction and altered teacher practices are crucial to the success of CSR. Independent evaluation of the California primary CSR (Years 1and 2) found little change in instructional methods and negligible achievement gains. Both the STAR and SAGE programs ensured that teachers had professional development and collaboration opportunities. Part of an overall strategy. To be most effective, smaller classes must be part of a comprehensive set of school improvement strategies. Wisconsin’s SAGE initiative chose this approach and its results must be considered in this context. Target to maximize the effects. Research suggests the investment in CSR may best be directed to schools/classrooms that benefit most, such as those serving students at greater risk. Alternative use of resources. A realistic evaluation of expected benefits should be weighed against the potential benefits of alternate use of the funding. Such strategies may include full day or Junior Kindergarten, technology programs, and/or early literacy or numeracy intervention programs. Accountability for Results. There should be a plan to continually evaluate the results of CSR. Changes to be monitored include student achievement, instructional practices, the displacement of other programs and services, and unexpected costs. Flexibility. CSR strategies should include the flexibility to expand and/or modify the CSR policy to suit emerging needs and ensure individual circumstances do not adversely affect teaching and learning. The rigid language of BC’s primary CSR did not allow for the accommodation of adversely affected students. As a result, some siblings were separated and some kindergarten children forced to take long bus rides to schools in other communities. Adequate facilities. CSR requires additional classroom space. The most common source of this extra space is portables, often placed on play areas, having a potentially negative effect. Schools can convert space for extra classrooms but this may involve sacrificing other programs by converting libraries, art rooms, science labs, gyms, computer labs, and music rooms. Policymakers faced with CSR decisions have many difficult choices to make and must undertake the research and evaluation to ensure the substantial public investment pays off in terms of student achievement.